Tibetan singing bowls have been used for centuries to produce relaxation, facilitate deep meditation, and move us into higher states of awareness. Listen to this CD while you work, rest, sleep or meditate. Create a wonderfully peaceful state for your daily activities by simply playing this CD continuously in the background. To move into deep meditation, let your mind follow the sounds. Effortlessly let yourself enter into the silence. By simply being available to enjoy the experience, the sounds will move through you, helping to clear away lower frequencies and attuning you to the higher vibrations of the Infinite and your soul. 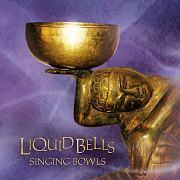 Damien Rose, the artist behind Liquid Bells: Tibetan Bowls, has been described as a truly “heart-aligned musician. He came to his calling as a master of the Tibetan bowls through a chance acquaintance too amazing to be mere coincidence: He had picked up a hitchhiker who just happened to be one of the artists on a Tibetan bowl mix playing on his car stereo.